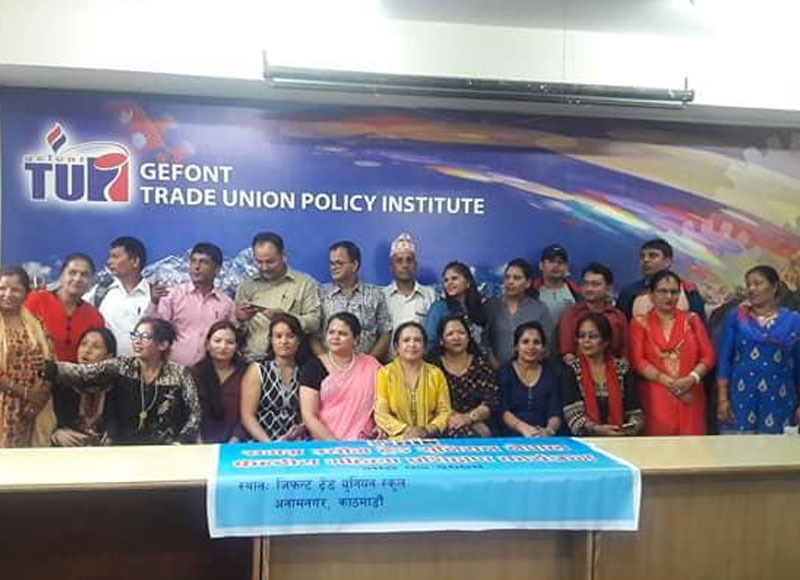 While Industry Trade Union Nepal (WHIN) has Concluded Women leadership Development Training in Kathmandu. Inaugurating the Training Session, Chief Guest GEFONT president Cde. Binod Shrestha Said “During the formation of the new committee we have to follow organization System & Constitution. In the union we have to treat equal to all. On the occasion, GEFONT Secretary General Cde. Janak Chaudhari has briefed about current Labour Law. Likewise, GEFONt Province No. 3 President Cde. Ram Hari Nepal Briefed about Social Security Act. 30 participate were participated in the training where 25% Men representation of were insure.